Ask just about anyone if they know what sadness feels like and more than likely the answer will be “yes.” Whether it be a sad song, movie, book, or actual life event, most of us feel sadness at some time in our life. In fact, it’s a normal human reaction to common life struggles, feelings of loss, and low self-esteem. However, when these feelings become so intense and long-lasting that they change how you live your life, you may be suffering from depression. A depression treatment program is the best way for individuals struggling with the disorder to take control of their mental health. Learning about the depression treatment Orange County provides can be your first step to getting the help you need and deserve. A depression disorder causes consistent feelings of sadness and the loss of interest in day to day activities. This is sometimes the result of stressful life events and other times, by a chemical imbalance in the brain. It can cause major disruptions in a person’s job and family life. This condition is not something that anyone can just “snap out of” or push their way through. HOW DO I KNOW IF I NEED A DEPRESSION TREATMENT PROGRAM? Persistent Depressive Disorder – This form of depression lasts for two years or longer and its symptoms are similar to that of major depression. Bipolar Depression – This occurs in patients who suffer from bipolar disorder and used to be called “manic depression”. Patients experience extremely high levels of energy (mania), in which they seem unusually hyperactive and in some cases are delusional and feeling invincible, which is subsequently followed by very low levels of energy and depressive moods. Seasonal Affective Disorder – Patients experience a period of major depression that most of the time, occurs during the winter months when the weather is colder and there is less sunlight. Psychotic Depression – Patients experience symptoms of major depression along with feelings that fall out of touch with reality. These could include having delusions, paranoia, and hallucinations. Roughly 14.8 million American adults struggle with major depression, according to the National Institute on Mental Health. The suicide rate among people with major depression is greater than any other psychiatric issue. Sadly, most people who suffer from major depression don’t ever seek treatment. When this condition is left undiagnosed and untreated like addiction, it gets progressively much worse, causing years of suffering and driving many people to death. 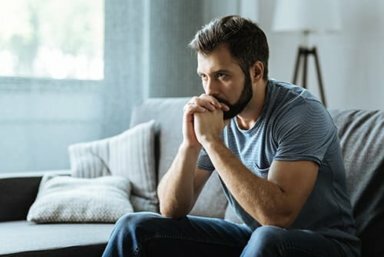 While many people who seek treatment for drug addiction do demonstrate signs of depression at one point or another, there are many people who also struggle with co-occurring mental health disorders. In cases like these, patients should receive treatment for both conditions in which an integrative treatment incorporating addiction treatment and therapeutic options to treat the underlying causes of addiction and other mental health issues should be sought out. Luckily, Morningside Recovery offers a depression treatment program to provide Orange County residents with the help they need. We offer a variety of services from mental health treatment to substance abuse rehab. We also provide dual diagnosis treatment for those who struggle with both depression and addiction. The need to treat both issues as their own entity at the same time is crucial in providing the most effective treatment for our clients. Our comprehensive treatment plans work with clients to find the most effective program for them. Learn more about our depression treatment program, call us today at 855-416-8202. Find out how we offer the best depression treatment Orange County residents turn to.